Ceasefire's opera critic, Paul Guest, reviewing a piano recital by Benjamin Grosvenor at Wigmore Hall, finds a "remarkable talent". BBC Radio 3 New Generation Artists. This is a remarkable talent. 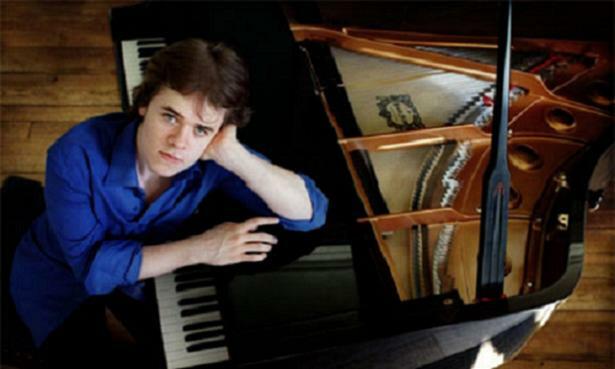 By “this” I refer to the 18 year old British pianist Benjamin Grosvenor, who will open the BBC Proms this year and has became the youngest British musician to ever sign to Decca Classics, as well as being the first British pianist to be signed to the label in almost sixty years. The album, entitled Chopin, Liszt, Ravel, is released on the 11th July and a review of the CD will be following shortly. Of course, a recording is one thing and live performance is something else, but believe me: when you hear or see Grosvenor play you are in for a treat. The eighteen year old knows his stuff; the programme was repertoire (inspired by Spain) that is not performed often. The whole programme showed off his rhythmic and precise ability to interpret these lesser-known works. Scarletti’s Sonata in D Major (Allegrissimo) put Grosvenor’s precision to the test with a lively first theme, a load of repeated notes plus the acrobatics of the crossing of hands choreographed efficiently. In the following Sonata in D Minor (Andante) Grosvenor displayed a wealth of lyricism and flow. Admittedly, I’ve never heard Mompou’s Cancons I danses but throughout all three movements you can hear the influences of Satie and Debussy. Mompou uses the acciaccatura the same way Satie does in his most famous works and then, when you get to some of the slower movements, the score just cries out “Debussy”. But, being a modern composer, Mompou put his own spin on things; the interpretation from Grosvenor was just superb. His last programmed piece was Liszt, which features on his upcoming album, and was clear, generous and, frankly, stunning. Inexperience is no matter for Grosvenor at all. He seems to be able to leap over any composer’s barriers in order to play with absolute wonderment. His ability at his age is astounding and underlines a masterful technique, so eloquently displayed throughout this recital. This and his ability to interpret notation and score is fantastic. It is marvellous to see a music industry embracing such a young talent: move over James Rhodes! you thought you were doing something youthful but, in comparison to Grosvenor, you stand no chance at all! Frankly, Grosvenor dazzled: a pianist of our time and a great one too. I am itching to see him play at the opening concert of the Proms. This takes me back to the days when I played classical piano. Now I rap and play jazz piano. He is a young genius on the piano. He will get better and better.